New Zealand’s economic history has been dominated by its food production, and food and beverage is the largest export market in NZ. New Zealand Food Technology magazine publishes articles and case studies on the latest news in the food technology industry. You’ll find food and beverage industry news on export, factory, ingredients, logistics, packaging, processing, testing and wine technology. Why advertise with NZ Food Technology News? TRUSTED: Since its launch in 1965, NZ Food Technology has retained its status as the number one food technology industry and beverage manufacturing publication. LEADER: NZ Food Technology News and our Annual Directory is the publication of choice for 88% of those working in the food and beverage technology industry. WIDELY READ: An average of 5,000 print copies are distributed each month. A readership survey revealed than each copy is read by an average of 3 people, bringing the total readership to 15,000 a month. ONLINE REACH: Our e-newsletter is sent to over 6,800 readers each issue. Not only do e-newsletter advertisers have the opportunity to promote their message to a wide readership, but also the e-newsletter is geared to driving traffic to our website to provide online advertisers with maximum Impressions and Clicks. Our website visitors are highly engaged and spend an average of 5 minutes 35 seconds on our website (as at August 2015). SUBSCRIBER GROWTH: Our subscription team continually updates and develops the readership database, of both the print magazine and authorised email readership. DEPTH: Quality editorial written by our own team – you won’t see our stories anywhere else. This makes NZ Food Technology a highly credible and respected publication: the perfect medium for getting your message across. REACH DECISION MAKERS: 57% of our readers are CEOs, owners or managers. 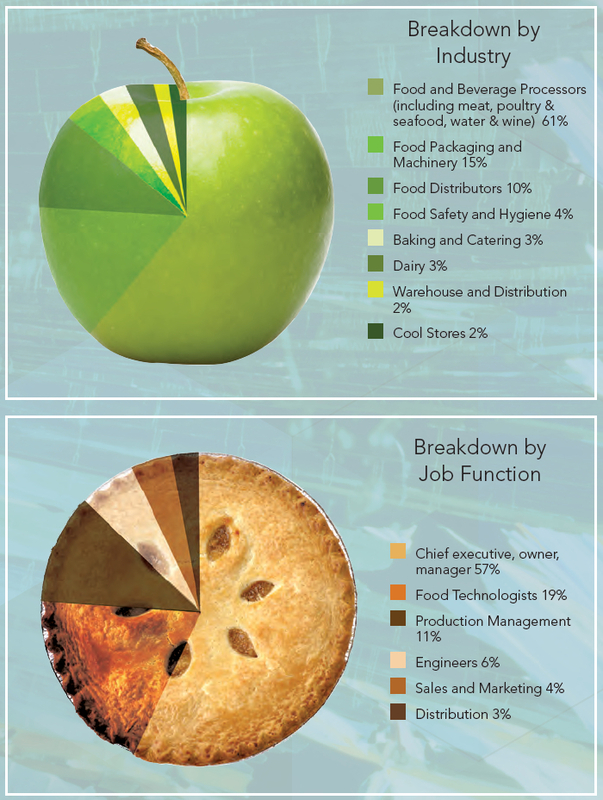 Another 19% are food technologists, and 11% are in production management. Who reads NZ Food Technology News? Would you like a customised package, that’s perfectly tailored to suit your marketing goals – and your budget? Display ad sizes and rates. Combos: discounted deals on package options. Preview of magazine features by month. The Advertorials are displayed next to the Latest Issue section on the Home Page. Your headline, intro copy and image thumbnail will appear as a preview on the NZ Food Technology News home page, with a link to a full-length article on our site. You would supply us with this article, and it would then be reviewed by our Editor to ensure that the tone and presentation is suitable for NZ Food Technology News. Advertorials need to suit the tone and presentation of NZ Food Technology News and therefore all elements are subject to editorial review and edits. All material to be received at least 10 working days prior to start date. Word count for headline (maximum): 60 characters including spaces. Word count for home page teaser copy: The first 140 characters of your article will automatically be used for the teaser copy on the home page preview. Word count for article: 1,000 words maximum. Note that the first 140 characters will be used on the home page preview so make this as compelling as possible to get readers to click through to your article. Character count for Meta Page Title: 50-55 characters maximum (including spaces). Hyperlinks: One URL hyperlink is permitted within your advertorial; additional URLs can bet set up for an additional $39+GST each. Images – quantity: One image is permitted within your advertorial and the same image will be used for your home page preview. Additional images can be inserted into your advertorial for $39+GST each. 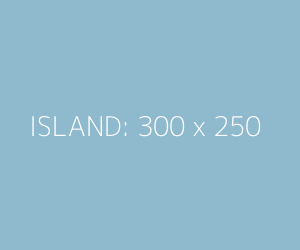 Images – size: 702 pixels wide by 336 pixels tall. Maximum file size 250KB. Images – file types: JPEG, PNG and GIF images are supported. Price: $1,799 + GST. That’s less than a one month display ad in our print magazine yet your advertorial will be online indefinitely. How long will my advertorial be on the website for? Home page preview: Your preview will be displayed here for one month. 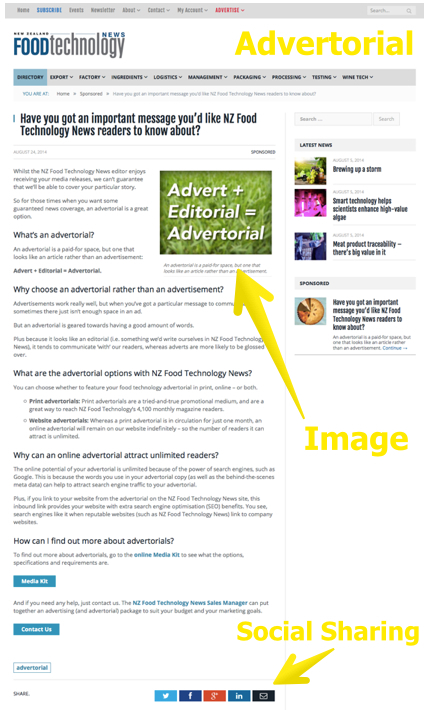 Advertorial: Your article will be on the NZ Food Technology News website indefinitely (i.e. there is no end date). If you would like your article removed at any time, this can be done for $39+GST. I’d like my advertorial amended or removed from the website. How do I do that? We can edit your advertorial (e.g. change the copy or photos) or remove it from the website for $39+GST. Can you write the advertorial for me? Yes, we can arrange for a professional writer to craft your editorial for you. This is charged at $250+GST for an advertorial up to 1,000 words in length. How can I optimise my advertorial for the search engines? Using ‘keywords’ (i.e. the search terms people are inputting into Google and other search engines) in your article may help more people discover your article. Meta page title: 50 to 55 characters maximum, including spaces. Meta description: 115 characters maximum, including spaces. Keyworded ‘ALT’ text of your photo. Please note that the keyword suggestions above are based on current Google requirements, and are subject to change without notice. There are no guarantees regarding search engine rankings. Who do I send my article and other materials to? Send your materials by email to the NZ Food Technology News Sales Manager – you can find the contact details here. All material must be received at least 10 working days prior to the start date. I’d like a combination of online advertising and/or mix it with print advertising. Please speak to the Sales Manager, who’ll be happy to create a customised package based on your needs. The Billboard is the biggest, boldest way to get your message across to our readers on the NZ Food Technology News home page. Note: this advertising position is popular and has limited availability. Contact the Sales Manager today for more information and to secure your space. Dimensions: 1078 pixels wide by 185 pixels in height. That’s the size that your artwork needs to be. You need to be aware that this website is responsive, which means that it automatically resizes to suit the screen size it’s being viewed on. Your Billboard ad will always show on all devices, but it may automatically shrink to fit the screen. For this reason, it’s best to avoid using very small fonts: we suggest you use a font that’s equivalent to Arial 48pt (that’s points, not pixels) as a minimum. File type: JPEG, PNG or GIF. Hyperlink URL: Please provide the URL (web page address) that you’d like your ad to link to, at the same time as submitting your artwork. The Leaderboard is your opportunity to grab attention on the single most visited page on the NZ Food Technology News website – the home page. There are two options, to suit your budget: if you’d like your ad to appear near the top of the page, Leaderboard 1 is underneath the ‘All News’ section. Otherwise, lower down, underneath the ‘Latest Issue’ section, is Leaderboard 2. Dimensions: 728 pixels wide by 90 pixels in height. That’s the size that your artwork needs to be. You need to be aware that this website is responsive, which means that it automatically resizes to suit the screen size it’s being viewed on. Your Leaderboard ad will always show on all devices, but it may automatically shrink to fit the screen. For this reason, it’s best to avoid using very small fonts: we suggest you use a font that’s equivalent to Arial 48pt (that’s points, not pixels) as a minimum. Leaderboard 1: Underneath ‘All News’ section. Leaderboard 2: Underneath ‘Latest Issue’ section. Note: these advertising positions are popular and have limited availability. Contact the Sales Manager today for more information and to secure your space. The Island is a perfectly sized ad space to help you get your message across. There are Island options for the Home page as well as Category pages. Dimensions: 300 pixels wide by 250 pixels in height. Location: Right-hand side bar. Talk to the Sales Manager about the pages you’d like your ad to appear on. This could be the Home page and/or news Category pages." Do you like the idea of an Island, but need a lower-cost option? The Mini Island is a great solution. There’s enough space to get your message across, and it’s budget friendly. Dimensions: 300 pixels wide by 120 pixels in height. Can we use and submit Flash files for our ads? No, Flash files aren’t accepted. The reason for this is that many mobile devices don’t display Flash. So not only does this create a frustrating experience for our users (which we’d like to avoid), but it also means the growing number of mobile users won’t see your ad. And we want them to see your ad! Are reports available on website display ads? Yes, reports on your website display ads are available – please ask your Sales Manager for details. Will my advertisement show on small screens, such as mobile devices? Yes. The NZ Food Technology News website is responsive, which means that it automatically resizes to suit the screen size it’s being viewed on. Your ad will always show, but it may automatically shrink to fit the screen – particularly so with Leaderboard and Billboard ads. For this reason, it’s best to avoid using very small fonts: we suggest you use a font that’s equivalent to Arial 48pt (that’s points, not pixels) as a minimum for Leaderboard and Billboard advertisements. Can you guarantee that my ad will appear at the top of the page? No. The website is set up so that Island, Mini Island and Skyscraper ads are rotated, so that every advertiser has an equal chance of appearing at the top. 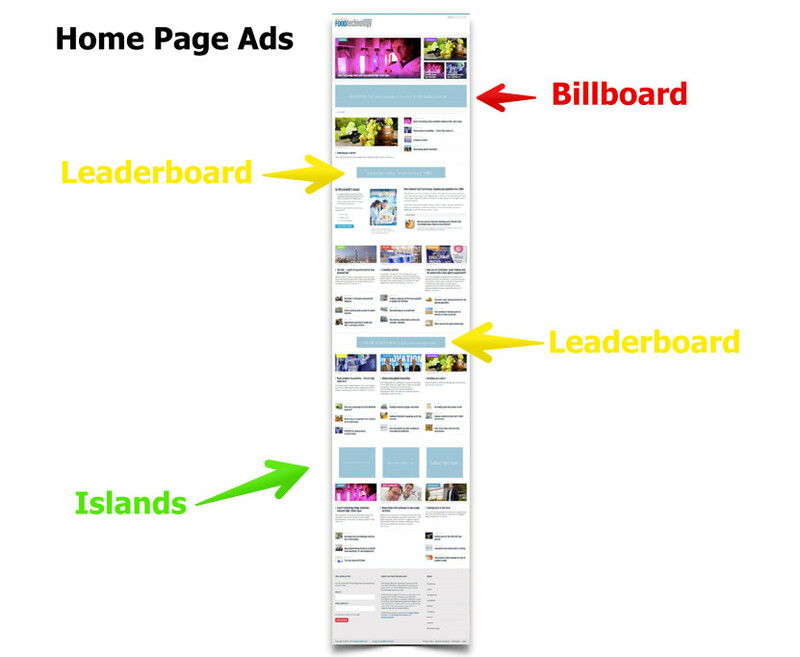 If you want a guaranteed position on the Home page please choose a Billboard or Leaderboard ad. How can I get more click-throughs on my ad? The best way to get click-throughs is to make your add eye-catching, and finish with a strong call-to-action. A good formula to follow is AIDA, which stands for: Attention, Interest, Desire, and Action. It’s been used since 1898 and still works today! Attention: Grab attention by using a strong headline. Asking a question or using the word ‘you’ works well. Interest: Add a sentence to show that you understand your customer’s problem or issue. Desire: Mention a key benefit or two of your product or service. When you follow the AIDA format, use your logo, company name and company details at the bottom of the ad. Your company details are part of the call-to-action; it’s important that the headline is the hero at the top of your ad. Who do I send my artwork to? Please send your artwork to the Sales Manager. The space is easy for your designer to work with; you can get your message across easily. Email readers scan down the left hand side of newsletters, so your ad will be right in their line of sight. Banner ads display well on mobile phones – and people are increasingly using their phones to read emails. You can use the space as an advertorial if you wish. We may add the words ‘Sponsored’ next to your Banner if it’s not obvious that it is a paid-for advertising space. The reason for this is that it’s important that our readers can differentiate between our own editorial content, and paid-for messages. Can you guarantee that my ad will appear at the top of the email newsletter? The ads are inserted in order of the bookings being received. So if you’d like to secure a spot near the top of the email newsletter, speak to the Sales Manager to book well in advance. We can customise your newsletter to suit you. Please contact the Sales manager to discuss your options. Can I do a solus email campaign? No. Solus email campaigns (where the content is 100% advertising) create a lot of Unsubscribes. Our email newsletter readers are important to us, so we’d rather keep a good balance between editorial and paid-for content.